we always have the most perfect zucchini’s at the farmer’s markets here. finally i wanted to try something different from our usual pasta with zucchini, or our korean style zucchini. 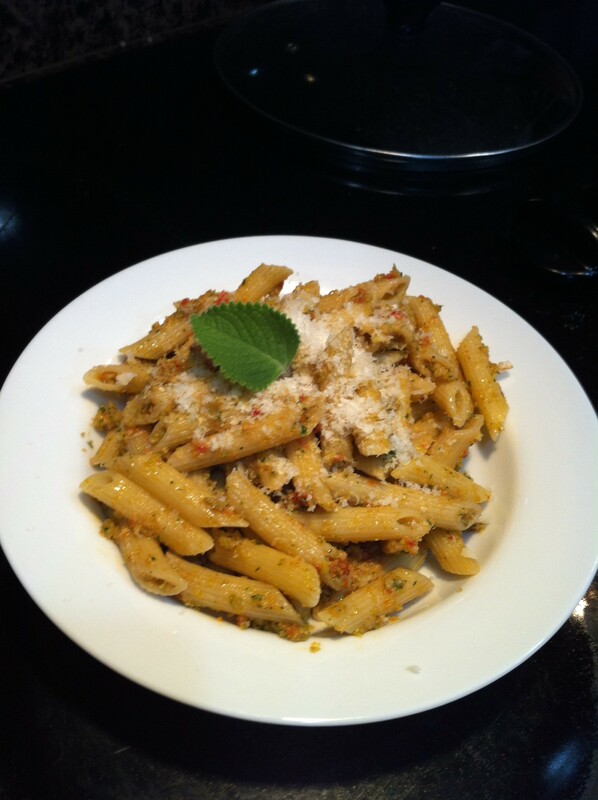 i found this cool idea to make zucchini pesto from a saveur recipe. since i already had a bit of sun-dried tomato pesto from the day before, i combined that with the zucchini pesto recipe and the result was surprisingly great. there is actually a whole zucchini in it! you should try it.